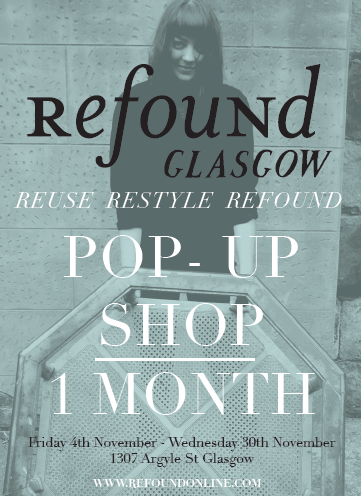 For the first time, ReFound Pop-Up Shop Glasgow…. The ReFound Glasgow pop-up shop is selling creative works by local Glasgow artists. Co-ordinated by local artist and recent Glasgow School of Art graduate, Chris Melgram, the event is proving to be a highly creative onslaught of wonderfully restyled found pieces.